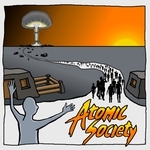 A new version of Atomic Society (0.0.9.1) is now available to download if you use your Humble email receipt that you received when you bought the game, or visit your Humble game library. This is a big bug-fixing patch, and is probably the biggest bunch of fixes we’ve ever made in one go! We felt the time was due to clean up a lot of issues in the game as we prepare for Steam. We’re now able to fully focus on getting the game ready for Steam and squeeze in the last gameplay features before Early Access. Note: Old saves will be incompatible with this version, so only upgrade to it when you’re ready to start a new game. •	Fixed several complicated bugs that caused the storehouse to be showing inaccurate information, or that caused it to fill up with "ghost" resources that could never be collected. In general the storehouse information should be a lot more accurate, and can now handle unexpected events during deliveries and collection much more reliably. •	Fixed a bug where if you saved the game at a certain point, certain supplies would never decrease after loading that save. •	Fixed the news tab breaking after loading a save game. It now appears correctly. •	Fixed a bug where the player would be locked out of the UI until they pressed Escape, if you found a special item for the Town Leader while placing a building. •	Fixed the camera going out of the environment briefly when you loaded a save game. •	Fixed a rare problem where the raiders story boxes would not appear if they popped up at the exact same moment you found a special item for the Town Leader. •	Fixed a bug where Raiders tried to kidnap dead elders from the Elder’s End, causing various glitches afterwards. •	Fixed a bug where Enforcers would get confused and stuck if a law changed while they were escorting a criminal under the old law. •	Fixed a bug where people sent to die at the Punishment Centre were being set free if all the Punishment Centre workers were busy when the criminal arrived. •	Fixed a bug where the Town Leader would keep running off into the distance if you used the keyboard to control him or her and then switched into Overview mode. •	Fixed a bug where the number of unemployed citizens on the stats screen was sometimes showing inaccurate information. •	Fixed a bug where the number of resources available on the build menu wasn’t updating until you closed and re-opened it. •	Fixed medicine not improving medical buildings as it should. •	Fixed the production menus for the Chemist and Weaponsmith showing inaccurate information. •	Fixed a bug where the game could freeze if you attempted to build structures beyond the edges of the map in certain spots. •	Fixed a bug where information on the bottom part of the Stats screen was being cut off, concealing some of the info. •	Fixed a bug where certain buildings were being listed as “defended” in a raid even if you didn’t have any guard towers. •	Fixed a bug that caused dead drug users to try and overdose after they had died. •	Fixed the highlighting effect around the raider agree or resist choice so it’s easier to tell what option you picked. •	In order to fix several bugs, including a crash, we have disabled the ability for players to re-size the game window manually. You must change the resolution of the game in windowed mode to change the size of the window from now on. •	Made it so game speed goes back to whatever game speed you were playing after you get raided, so it’s less annoying if you’re totally protected against raiders. •	V-Sync is now enabled by default to make the game smoother. It can still be disabled in video options. •	Increased the amount of people each house supports by 5 so you don’t need quite as many houses to home everybody. •	Increased the time before raiders return after you agree to their demands, to give you more time to defend your town. •	Plague has been made slightly more deadly, as too few people were dying of it since cannibals began eating the corpses.